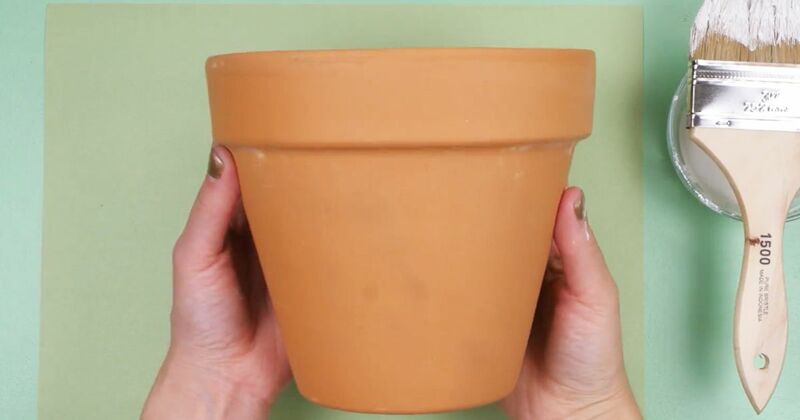 Terra-cotta pots are not only sturdy and durable, but they're extremely useful. You can use them for the obvious of course, which is potting plants, but they also have a much wider variety of purposes, including decor. Because these pots are easy and fun to craft with, why not transform them into something really cool and fun? The pots also come in various sizes, providing even more flexibility when it comes to crafting. Whether you're using them for seasonal crafts or everyday decorations, the possibilities are endless with a traditional terra-cotta pot. Though this DIY project is for a Halloween-themed cupcake stand, you can paint it to complement any holiday. 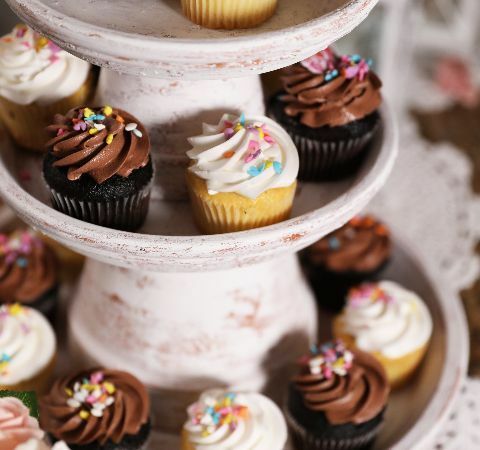 This is a really fun way to display cupcakes in the most festive way. Get the full tutorial here. What a fun way to express your love of gardening and plants. 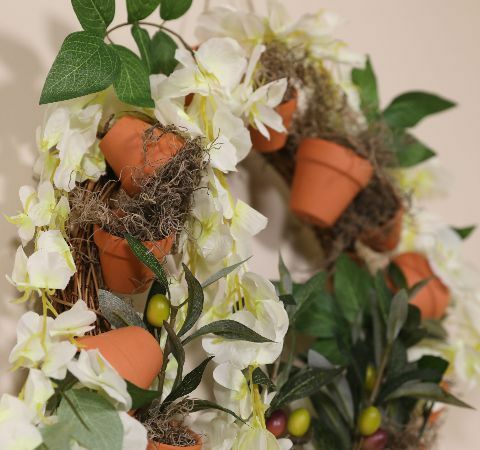 This wreath, made with tiny clay pots, is charming and whimsical, and definitely a conversation starter. Get the tutorial here. A little rustic but a lot pretty, terra-cotta pots make beautiful votive candles. They become a lovely table centerpiece for dining al fresco when the weather's nice or perfect for reception decor. Get the full tutorial here. Colorful wind chimes revitalize and refresh a garden space with their bold shades and soft sounds. They're easy and fun to make, too. Get the full tutorial here. A cute gift for teachers or an adorable storage solution for your kitchen, this apple jar is absolutely irresistible. Use mini pots to make small apples that are really eye-catching and useful. Get the full tutorial here. Make a visually appealing bird bath for your garden using a clay pot and mosaic supplies. Create the design you like using any colors to complement your outdoor decor and bring the birds to visit. Get the full tutorial here.